A waterproof camera is something that will come in handy when you want to take beautiful underwater pictures or pictures of your kids while swimming. A lot of products are available from brands like Olympus, Nikon, and Fujifilm, from compact type, disposable type, high function products, so it can be a little confusing when it comes to choosing one. 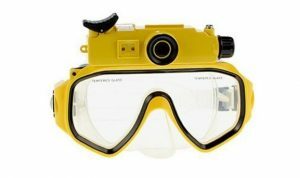 We will discuss here the pointers in choosing a waterproof camera and compare functions and reviews of the popular products online and show you the top products in rank order. 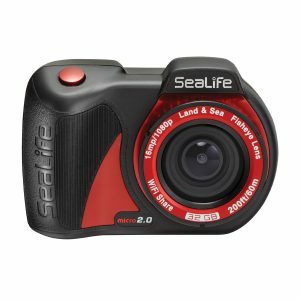 Hope you can find your favorite camera and take great shots with it even underwater! For sure a lot of people are still confused about what they should look for when choosing a waterproof camera. We will first discuss here the pointers to keep in mind when choosing a waterproof camera. Hope you could use this as a reference for your purchase! First, check the basic features that are essential in outdoor scenes: water, dust and shock resistance. 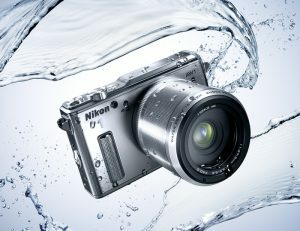 Obviously, all waterproof cameras are waterproof, but its water resistance will depend on a camera’s waterproof rating. To enjoy underwater photography, we recommend products that can resist a depth of 10 meters at least. For those who want to use them during scuba diving, then you would want to choose products that can endure 30-meter depth. 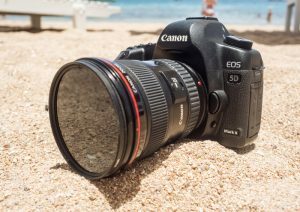 A sand or dust is not only troublesome to keep it clean but can also cause a camera malfunction. Make sure you check the dustproof rating! “IP○△” represents how weatherproof a product is. The ○ represents the dustproof rating, while the △ represents the waterproof rating. Dustproof rating is represented by class 0 to 6, so look for products of “IP6△” to your keep camera free from breaking down. Class 5: blocks dust to some extent that it won’t interfere with the normal operation of the camera. If you are trying to capture your energetic kids who love running around, there are times when you accidentally might drop your camera. Make sure to get a product with high shock resistance for those scenarios. This is more important if you’re using your camera with younger kids. You want to get the higher shockproof rating, and they are usually written by from how high places they can be dropped with any malfunction. Though you need to keep in mind that it will not serve as a guarantee. Choosing something that is shockproof for 2 meters or more will be safe for most scenarios. It will be such a disappointment if you spent a lot of time capturing the perfect moment, but it turns out that the pictures are blurred. Check where you are going to view it and in what size, then choose the resolution and zoom ratio depending on that. A lot of people might think that in order to take great pictures, they need to have a high-resolution camera. This is not true, but if we’re talking about image quality, then yes camera resolution does play a big part. When enlarged, higher resolution photos will have more detail. Make sure you know what you need the pictures for. Prints will need higher resolution photos, while social media posts won’t need to be as high-resolution. Also, higher resolution means you’d have to get a more expensive camera. The image size will also increase a lot meaning you’ll need a lot more data storage. There are two types of zoom technology: the digital zoom and the optical zoom. The digital zoom just enlarges the original image, lowering down its resolution making the image rough. The optical zoom has an ability to zoom into the subject, keeping the resolution high. This greatly helps underwater photography, as you may not be able to go near your subject, you need to take pictures of your subject from a distance. There are also products that combined digital and optical zoom, making it possible for you to zoom in like a microscope. F-number is a number that represents the aperture. The smaller F-number wider the opening of the aperture, allowing more light to pass through. The deeper you go underwater, the darker it becomes. So, choose products with a smaller F-number. An F-number around 2.8 is recommended. When using a camera underwater, it is difficult to operate a camera properly because of water pressure and current that will not let you move freely. You might miss a perfect shot with a camera with complicated controls. Choose something that is easy to use. The size of the button is also something that you might want to check out. If you use a camera while wearing gloves, then a product with bigger buttons will be the best. It will be shocking to see all your pictures blurred when you check it at home. Waterproof cameras are usually used in active scenes, there is a big chance of getting blurry pictures. 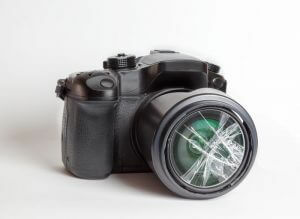 Pay attention to their image stabilizers if you want to take sharp pictures and videos. There are two types of image stabilizers: “optical” and “digital”. 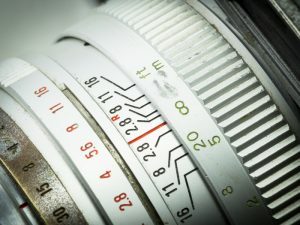 “Optical type” moves the lens and sensors before taking a picture, and the “digital type” will try to repair the picture after capturing them using a computer. “Optical type” can take more beautiful and high-quality photos than “digital type”, but is more expensive. If you will move around roughly when capturing a photo, go for the “optical type”. If you want to save money, then go for “digital type”. Waterproof cameras do not necessarily mean that you will only use them underwater. If you plan to use them for your everyday use as well, it is safe to choose something that is easy to use. Products with a rotatable screen will let you check how a picture will look like while taking the photo, and let you take beautiful selfies with ease. 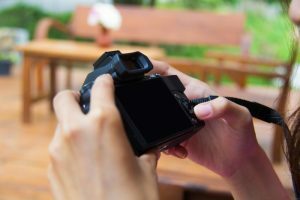 There are also products that have beautifying functions making them essential for trips and vacations where you want to take pictures of people. 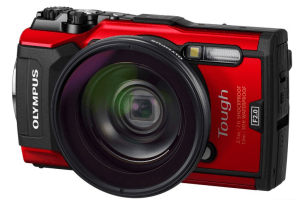 Now we will move on to the top 10 waterproof cameras in rank order. There are products with very unique features, hope you find the perfect one for you! If you’re looking for a camera for your kids, then this product is perfect for you. First is its affordability, since buying something too expensive for your kids is very risky with all the running and playing around. Second is its durability that can endure few bumps and drops. These are just some of its few pros! It has all the basic functions that your kids may need, while playing in the pool or snorkeling, but of course is not good enough for professional divers and photographers. 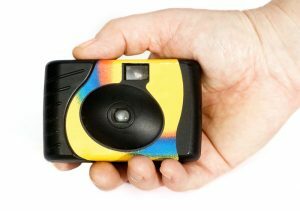 A basic underwater camera that your child can practice their photography skills, before they upgrade to a professional camera. This product will let you use both of your hands while snorkeling or diving, and you can even wake board! The camera is attached to the mask, and can also be removed when you want to use it on its own. Of course, you can also use the mask on its own, without the camera if you want to. This product automatically cuts footage into 5-minute clips for easier sorting afterwards, and so you won’t need to operate them while underwater. You can dive for up to 20 meters using this mask camera, or with just the camera. If you need both of your hands underwater to do some activities like fishing, then this might be your perfect match! This camera might be the best bet of beginner divers who are still hesitant to buy an expensive underwater camera. This has the ability to capture beautiful images even in dark areas with the use of its torchlight and high resolution (16.1 MP) camera. It can last for more than 60 minutes underwater, a good enough length esp if you are a newbie at diving. You can also use the torchlight even when the camera is not in use to serve as your flashlight underwater. Even an IPX8 waterproof camera can have poor water resistance if its battery slot or card slot got broken. 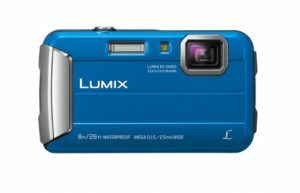 Such a tragedy won’t happen to this camera since this product has no openings, card slots, battery slots or whatsoever, to avoid any liquid from getting inside. It has an as large internal memory as 32GB, so no worry about its lack of the card slot. 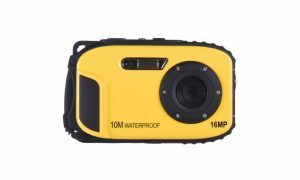 This is a good investment if you’re going to use a waterproof camera frequently for a long period of time because of its high durability. This product has a fold out display that will let you playback photos or videos, or view the actual image that you are currently shooting. 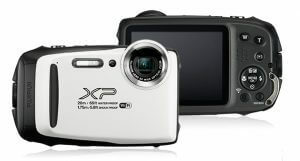 It can take 4K video, so we highly recommend this to vloggers or bloggers whose focus is beaches, scuba or snorkeling. It will not only help you capture beautiful underwater views, but also let you keep measure the depth of your dive, and automatically adjust its white balance setting accordingly. Just make sure to change its angle of view to underwater, and the underwater protector is attached. 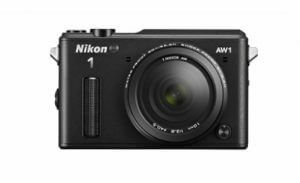 This waterproof camera will let you change its lenses with Nikon 1 lenses that you may already have! A lot of photographers still opt for the orthodox DSLR because they can’t change lenses with waterproof cameras, but not with this one. It will give you a wide variety of shooting style and techniques even when you’re underwater. If you’re a professional photographer who is into water sports or diving, this definitely is the perfect product for you! It can definitely come in handy during underwater photo shoots! This product’s lens gas 6 LED lights that surround it, making it perfect for macro photography, and illuminating subjects near your lens with just the right amount of light. Of course, this function can be used for underwater photography but also for land macro shoots as well. A product perfect for macro photographers on land, or underwater! It is also shockproof and dustproof for additional protection! There are small rubber grips on this camera that will let its user shoot videos and capture images with only one hand, which make it perfect for busy mommies who are multi-taskers. You can capture your children’s great moments while carrying your youngest baby in one hand, or holding your toddler’s hand while snorkeling. This product has 5x optical zoom, interval shooting and time lapse shooting for those who are looking for a camera that is capable of capturing more creative shots and angles, and even effects. This product is made extra protected with its hermetic sealing, floating lens construction, double lock covers, and dual pane protective glass. A perfect product for those with more active or extreme sports like white water rafting or cliff diving. One of the good things about this product is that it has many additional features or accessories that you may want, like a fish-eye lens, ring LED light for well-lit microphotography, the PT-069 underwater case that will let you go as deep as 45M. It can detect its surroundings and automatically choose the most appropriate scene mode from as many as 20 options. 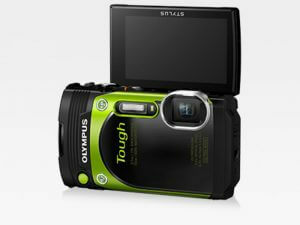 This camera allows you to take perfect pictures, may it be on land, underwater, or extreme activity. Aside from its high image and video quality on land and water, this product will also let you share what you’ve shot automatically to your smartphone. You only need to download the Nikon Snapbridge app, and you’re good to go. As you can see in the ranking, waterproof cameras are more expensive than usual cameras. If you look at cameras with the same specs, then you’d notice that the price almost doubles for waterproof cameras. 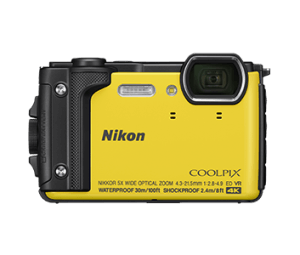 For those who want to purchase waterproof cameras for their first scuba diving experience or you need it for a limited time only, you can also try rental services or disposable cameras to save money. There are also second-hand cameras available, if you really don’t need a brand new product. 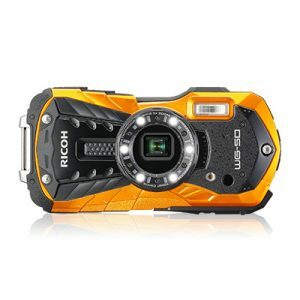 We just introduced to you the top waterproof cameras, how was it? 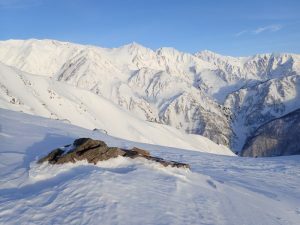 It will not only make your marine leisure more exciting, a tough waterproof camera will also come in handy during winter sports, trekking, or during activities where a regular camera won’t just do. Find your favorite product and capture your memories during outdoor adventures!